Facebook users who are concerned about keeping control of their information should get themselves over to the social network's Privacy Settings page without delay. While Facebook has recently revamped its interface and provided new ways for users to filter information, the new options make it easier to control what you see from others, not what you reveal to them. The ways you control outgoing information - the news you 'publish', in new Facebook-speak - haven't changed. You get to them from the Settings, Privacy Settings menu, which presents choices Profile (who can see your personal and contact information, including videos and photographs you're tagged in); Search (what will be visible to Facebook's Search function); News Feeds and Wall (which of your posts and comments can be seen by other people); and Applications (what information will be available to Facebook applications you add). The choices for most settings, in order of increased restrictiveness, are Everyone, My Networks and Friends, Friends of Friends or Only Friends. If nothing else, you should carefully protect your Profile settings, since that's where malefactors can harvest data for use in identity theft or social engineering attacks. The importance of the other settings depends on how you use Facebook: If you want to make lots of friends or are on Facebook primarily for business networking purposes, for example, you'll probably want to leave the Search settings fairly loose so people can find you. If you want to use Facebook primarily to communicate with a circle of trusted friends, you can tighten them up. Similarly, if you mainly post promotional material for your business, you'll want to leave the News Feeds section loose - the more viewers the better. But if you use Facebook for truly personal information - to announce your plans to start looking for a new job or file for divorce - you'll again want to restrict that information to Only Friends or, even more restrictive, only certain Friends Lists you've created. Security vendor Sophos PLC has published its own Facebook best practice guide of recommended settings, which generally recommends the "Only Friends" settings. The security-conscious can also become a fan of the Facebook Security page. Subscribing to its news feed will keep you abreast of new threats and scams and inform you about new security features as they're brought online. For more on ways Facebook is affecting the corporate world, see How Facebook mucks up office life. This story, "Go Phish! 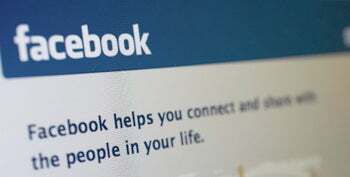 How to Guard Your Privacy on Facebook" was originally published by PC Advisor (UK).